We clean up everything around your property that you never have time to do! It’s getting real COLD this winter and due to the freezing temps no one wants to be outside. 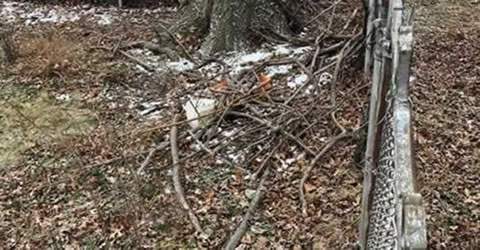 Well now that it is not warming up and everyone is not leaving the comfort of the home to venture outside, you are probably noticing that there’s some leave cleanup and yard work that may have been neglected before Winter hits! 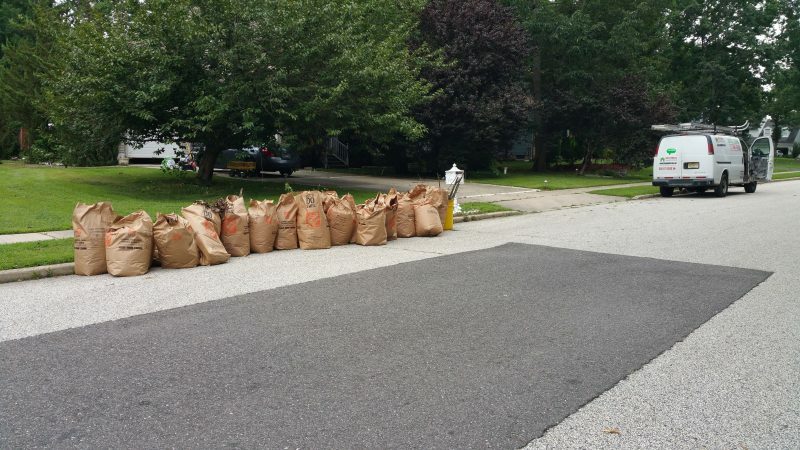 Even after the winter there is plenty of South Jersey leaf cleanup and yard cleaning debris removal to prepare for the coming summer. Let us spend the time in the yard while you spend the extra time with the family… Call us today for any fall, spring OR general South Jersey Leaf Removal and NJ Yard Debris Cleanup Services needs. We can provide the manpower needed to get these tasks done. Just let us know the tasks involved so we can complete things scheduled and finish for you in the proper amount of time. 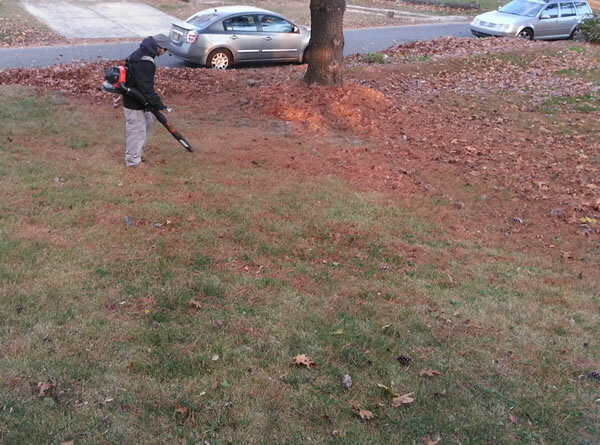 Some people prefer a good raking to their lawn at the end of year while others prefer the use of leave blowers. 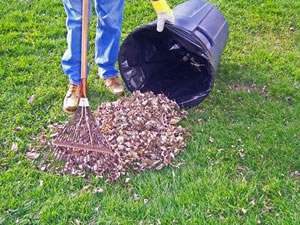 Additionally, some customers prefer the leaves to be bagged while others want them at the end of the property line in bulk for pickup. 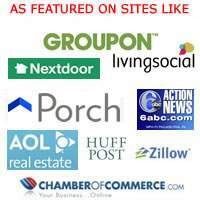 We have many options below to choose from depending on your preferred needs. We can provide the bags at an added cost! We us Paper Lawn then fill them to the top with leaves! If we are doing pine needle removal we do 2/3 a bag for the same rate due to weight and extra time needed to remove. Some pricing adjustments can be made by phone. 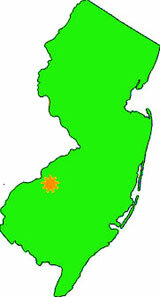 Bi-weekly, Monthly & Quarterly NJ Yard Cleanup Maintenance Available. Seasonal Work All Seasons :: GET Spring Flower Bed Clean Out, Summer Lawn Care, Fall Leaf Cleanup, Summer Bush Hedging, Fall Branch Pruning, Winter Snow Blown, Spring Mulch, etc. 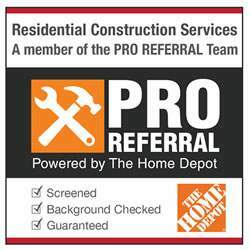 Providing the below ongoing services to residences, corporations, churches, educational institutions, industries, health care facilities, associations and general contractors. We encourage you to take some time to look through our many services to see what we may be able to offer you. 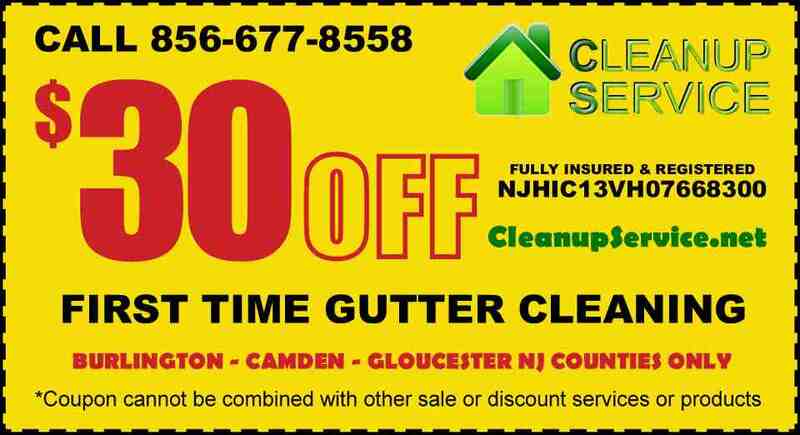 We specialize in gutter cleaning plus repairs, new gutters installation, staining, painting, tenant cleanouts, pressure washing, hardwood floor rejuvinate, surface disinfection, door installation, deck restoration, lot clean ups, brush clearings, dryer vent cleanings, landscaping improvements, home improvement & Rennovations plus more services. 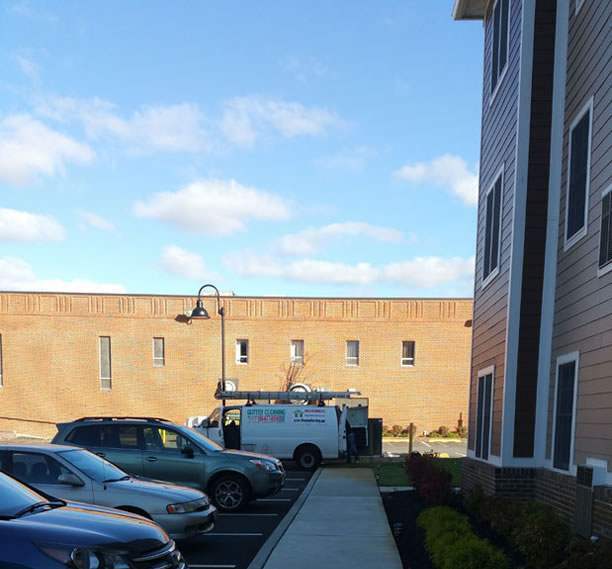 Our goal is to provide state-of-the-art South Jersey clean up services that are performed to your specifications which are affordable.